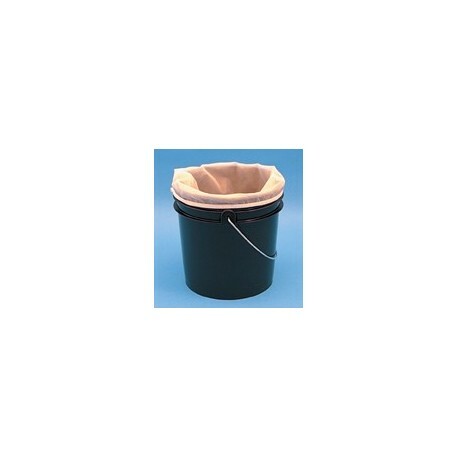 5 GALLON INK & COATING STRAINERS are 100% nylon mesh strainers that hold up to 5 gallons. 19" x 23" at the top, graduating in width to 8" x 23" at the bottom of the strainer. Available with plain or elastic top. Double stitched "Regular", filters down to 600 micron and comes in an attractive dispenser box of 25, or 4 boxes/case. Woven, double-stitched "Fine", filters down to 250 micron and is available in case quantities only.